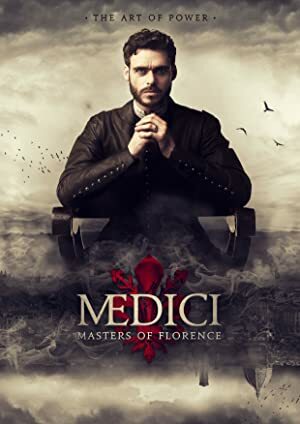 Medici: Masters of Florence – Season 1 (2016) – What's New on Netflix Canada Today! A political, family drama set in Florence in the early 15th century. Cosimo de’ Medici finds himself at the helm of his supremely wealthy, banking dynasty family, when his father, Giovanni dies suddenly. However Cosimo is concealing a dangerous secret – Giovanni was murdered. Now Cosimo must unearth his killer in order to protect the wealth and power of the family. After his father’s murder, banking heir Cosimo Medici battles opponents of his artistic, economic and political visions for 15th-century Florence. A political family drama set in Florence in the early fifteenth century. Cosimo de Medici finds himself at the helm of his banking dynasty when his father, Giovanni, dies suddenly.